These photographs of Queen Hatshepshut of Egypt show her temple or mortuary from a distance and also from near it. She reigned from 1508 to 1458 BC and was the fifth pharaoh of the eighteenth dynasty of Ancient Egypt. 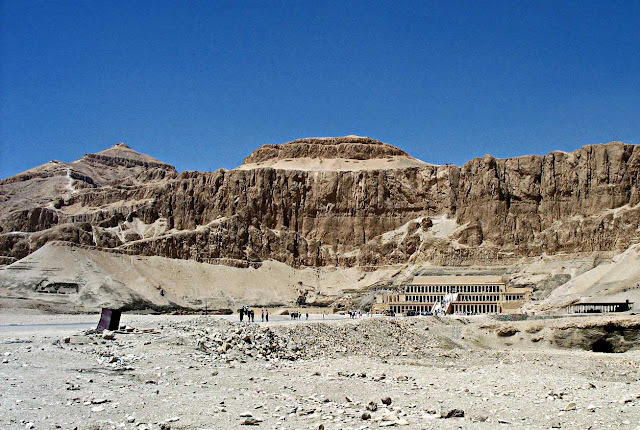 This mortuary temple was built at Deir el-Bahri. 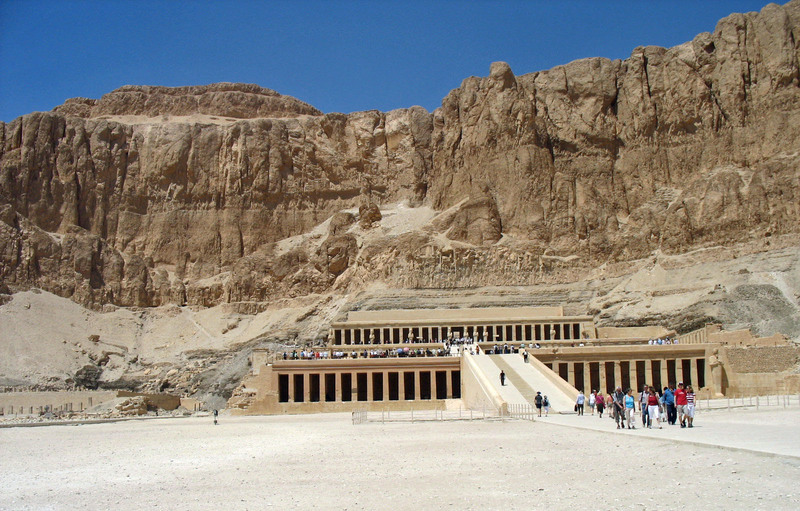 Hers was the first monument built here and soon this area became known as the Valley of the Kings. In this first picture you can see the starkness of the desert terrain. Hordes of tourists descend on this place every day. Here is a close-up of the temple structure. The columns of the temple in the picture below are huge. The next image is of the queen's statue. May seem like a man's portrait at first glance, but the beard is a false beard. 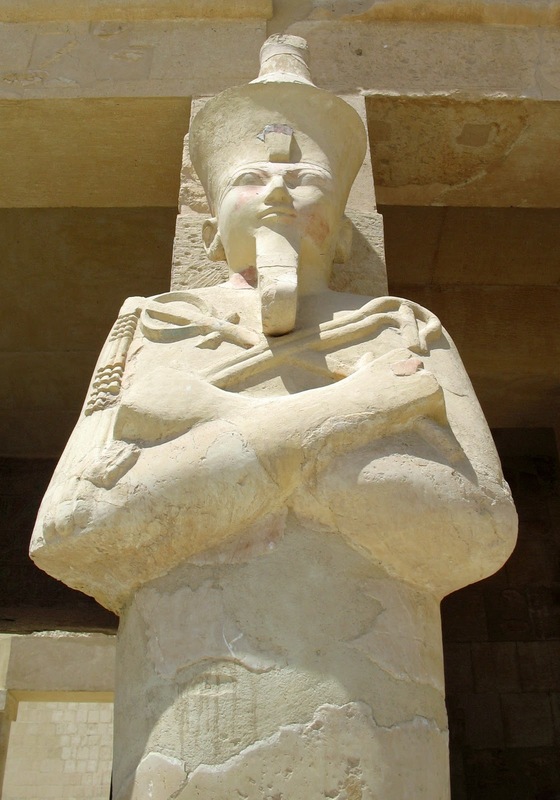 This was a common symbol of pharaonic power depicted in the statues of all pharoahs, male or female. Women rulers were not common. You might notice that her figure is not visible clearly. Most women were depicted this way in the art of the time, probably to downplay their femininity. 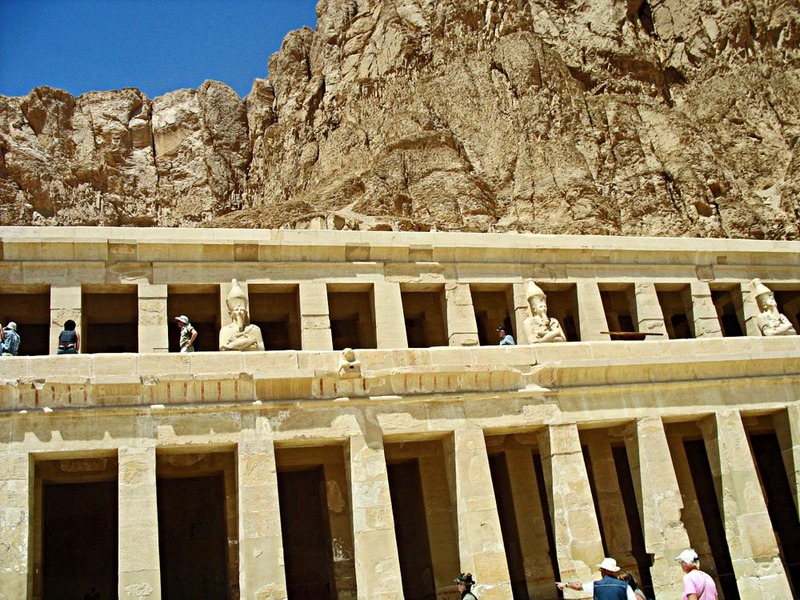 More photos of ancient monuments from Egypt: Three Pyramids of ancient Egypt or Karnak Temple and Pillar Designs or The Great Sphinx of Egypt or Karnak Temple and Pillar Designs or for more related photos try the label "Egypt"